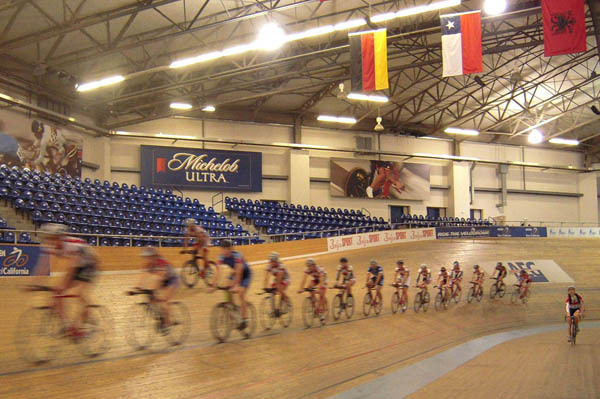 For many of the riders at the CCA training camp at the LA velodrome, the track has become a second home as they have used it as a winter training base this year; however, there are a few who are experiencing a world level, 250 meter indoor track for the first time, including Erik Mulder. The focus of this camp is on the team pursuit with the main objective of today’s session being “pacing and learning how to keep the pace times steady, no matter which group or ability you were riding with. 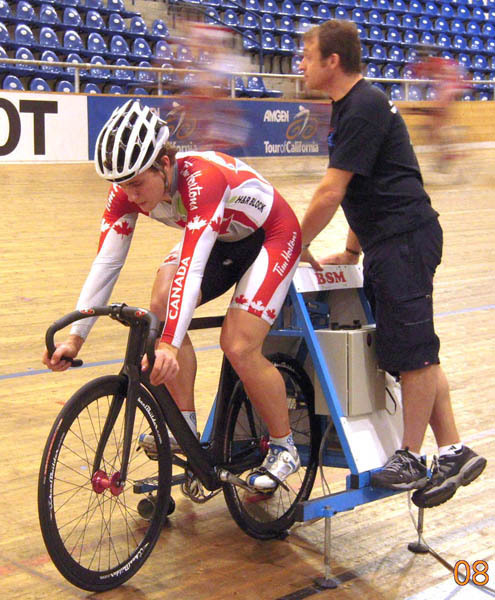 It was good to get back doing some harder efforts in all the groups and I think everyone’s legs were feeling a bit tired from the travel and workout yesterday” commented Allison Beveridge, who is happy to be moving on a bike after spending the Calgary winter on a trainer.